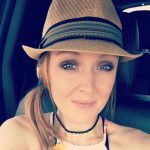 Morgan Lindsey Quarles-Smith, 32, of Granbury, TX passed away January 30, 2019 as a result of a fatal car crash. Morgan was born August 6, 1986 in Borger, TX. Growing up, Morgan lived in California, Virginia, and Arizona but live most of her life in Texas. Amarillo, TX was considered her hometown where she attended River Road High School. After high school, Morgan moved to Richardson, TX with her husband Jordan where she gave birth to her daughter, Avery. The family moved to Granbury, TX in 2011 where she gave birth to her son, Sawyer. In the following years they spent time between Granbury, TX and Pampa, TX. Being a mother to her two beautiful children was Morgan’s first priority. Her children were her pride and joy and she worked hard to make sure they had all they needed or wanted. In addition to her full time work as a mom, she worked at Pecan Plantation Country Club where she made many good friends and acquaintances. Morgan was an entrepreneur at heart and was always hustling to make it big. Morgan was well on her way to success with an established residential cleaning business where she had many clients in Granbury. Morgan was a unique and beautiful woman who lived her life to the fullest and enjoyed the best of times with her friends and family. Her playful personality, radiant smile and brilliant red hair ensured Morgan was always the center of attention, as she would have preferred. She was animated with humor and laughter and was fondly known as the Tinkerbell of sarcasm. Morgan lived with a servant’s heart and was always drawn to those who needed help or guidance. She had a higher level of awareness to seek out those who were in need and her studies in psychology and counselling allowed her to be a beacon of light for many. As many know, Morgan’s son, Sawyer, was born with a rare genetic disorder and because of this Morgan was a huge promoter of Global Genes. Global Genes is an organization that educates and empowers the global community with tools and resources to address genetic disorders and rare diseases. More locally, Morgan and family have accumulated significant medical bills related to Sawyer’s care. Donations to either Global Genes or Sawyer’s medical bills would be welcome over flowers or memorials. Donations in Morgan’s memory can be made to Global Genes online at https://globalgenes.org/give/ or sent to “Global Genes, 28 Argonaut , Suite 150, Aliso Viejo, CA 92656 or to their account at Cook Children’s Hospital in Fort Worth, TX. She is preceded in death by her grandparents Charles and Phyliss Wendt of Mangum, OK and Rick and Janette Quarles of Pampa, TX. Morgan is survived by her husband Jordan Smith and children Avery and Sawyer; parents Holly and Quanah Gilmore of Houston, TX and Eddie and Becky Quarles of Amarillo, TX; sister Megan and husband Curtis Atwood of Pampa, TX; three step-brothers and three step-sisters; close cousin Ciera Maldonado; and numerous nieces, nephews, and cousins. Morgan will be deeply missed by those who knew and loved her. Visitation will be from 6:00 p.m. – 8:00 p.m. on Monday February 4, 2019 at the Wiley Funeral Home located at 400 E U.S. Hwy 377, Granbury, TX 76048. Funeral Service will begin at 2:00 p.m. on Tuesday February 5, 2019 at the Granbury Baptist Church located at 1200 Weatherford Hwy, Granbury, TX 76048. My thoughts and prayers go out to you Holly. May God strengthen you during this difficult time and give you a peace that surpasses all understanding! Love you dear friend. Sending prayers to her family in this time. May GOD be with you all. Prayers for the family.I ask the Lord to put his arms around you all and comfort you though this hard time. You were apart of the most memorable time of my life! I will carry out time together forever! Love you always MOMO save me a good seat!